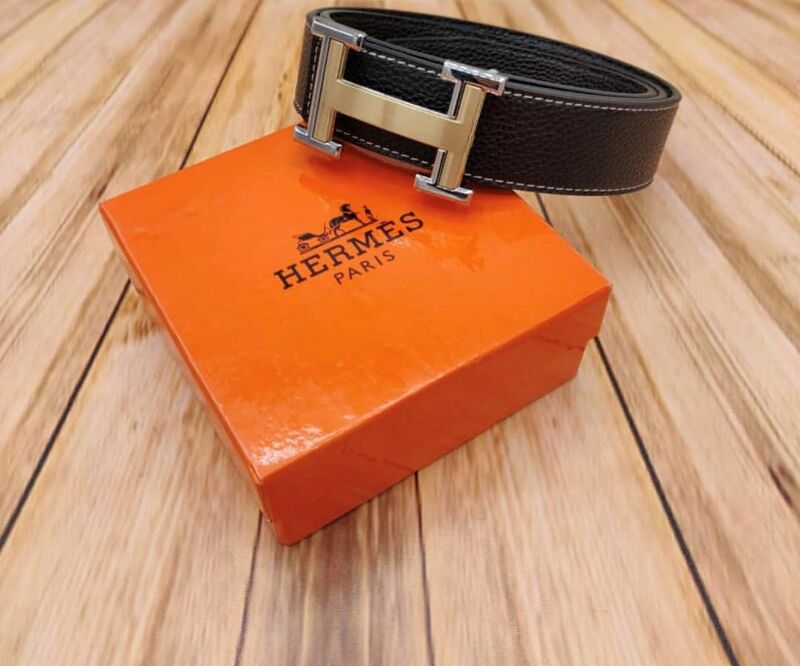 The packaging of the Hermès Belt should consist of an orange box like it does with all its other products like bags, bracelets and many other. 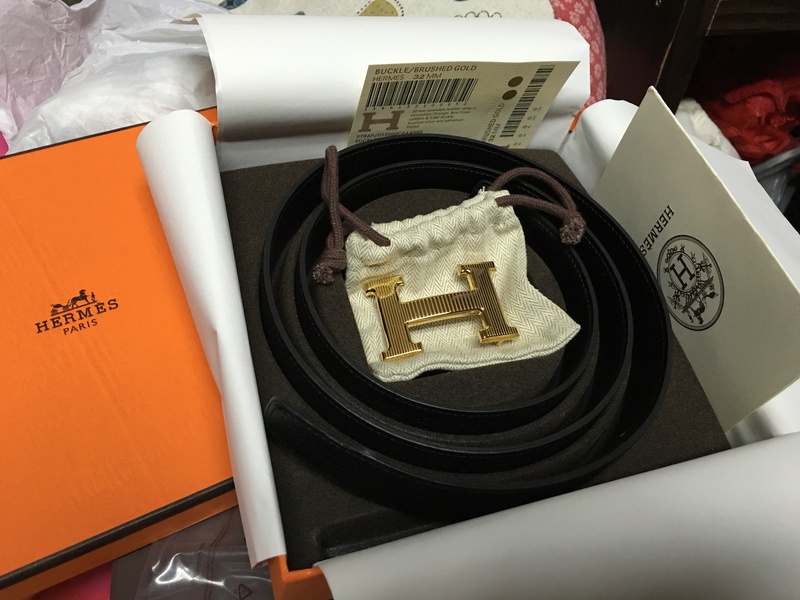 It comes with a black ribbon tied on it, which contains also the Hermès logo. 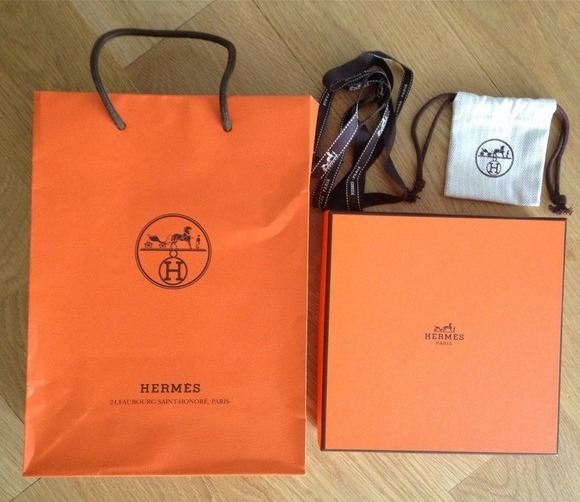 The most important thing is that the packaging should have a pleasant and good quality appearance. 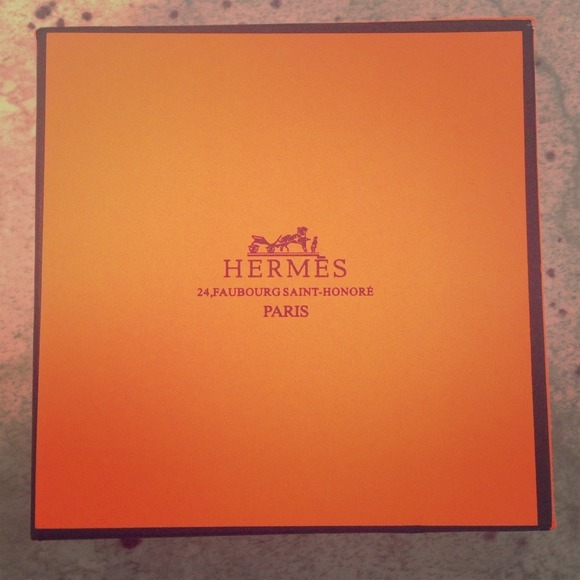 Inside the box, there should be nothing written or printed. 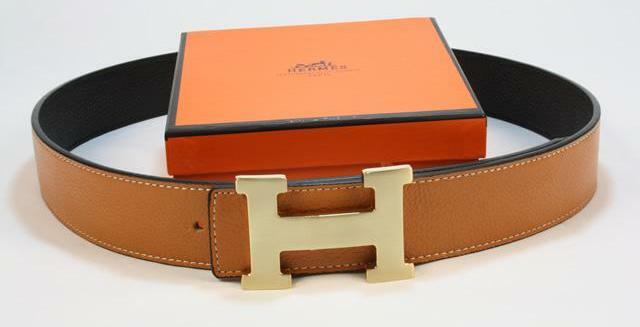 Hermès is renowned worldwide for the quality of its leathers, and this includes those used for the brand’s H belt kits. 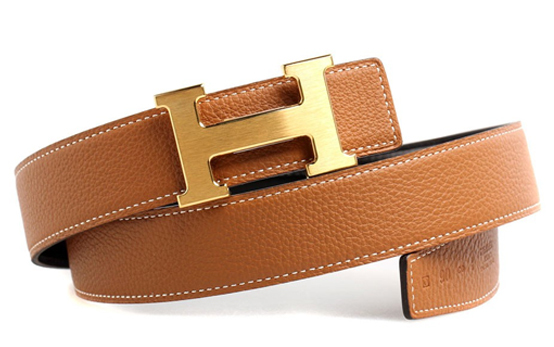 When you feel the leather of a Hermès accessory it will never seem like any other type. 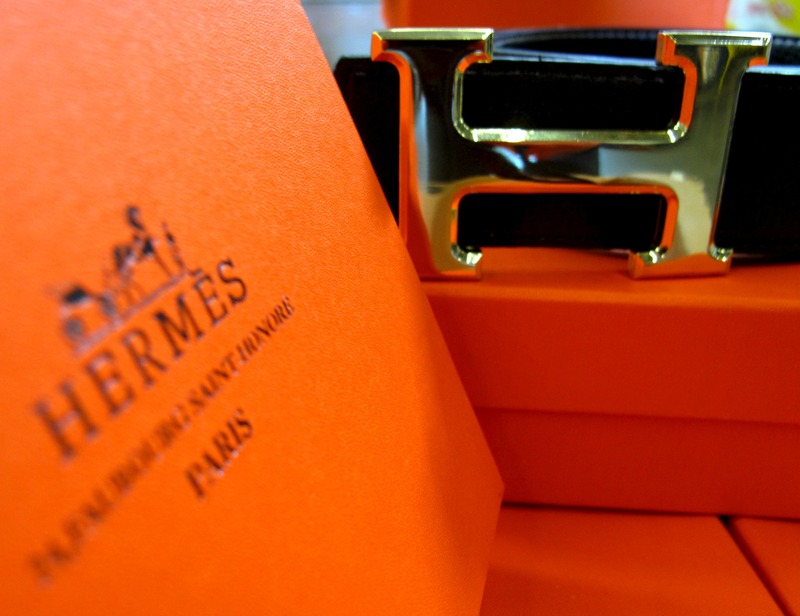 Only the highest-quality leather with a supple texture and soft feeling to the touch is used in Les Ateliers Hermès. 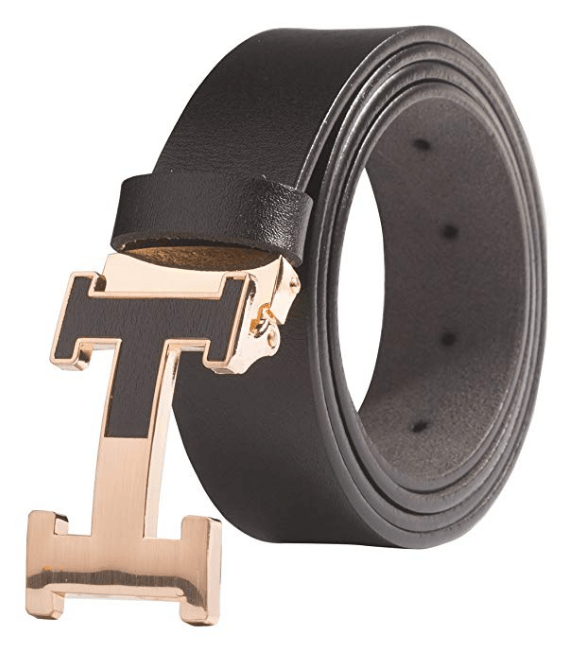 It is also double-sided with different colors on each side and thus reversible. 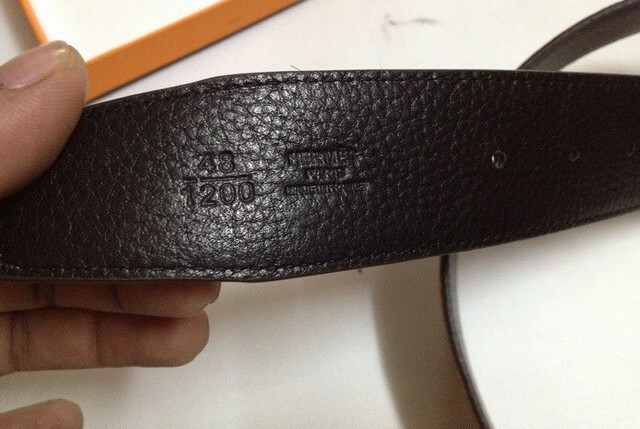 Take a close look at how the size is displayed. 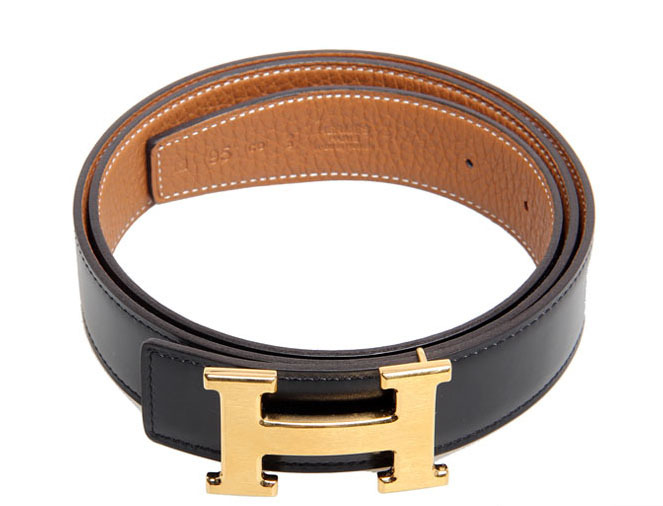 This can be an indicator that it’s not a true Hermès belt. 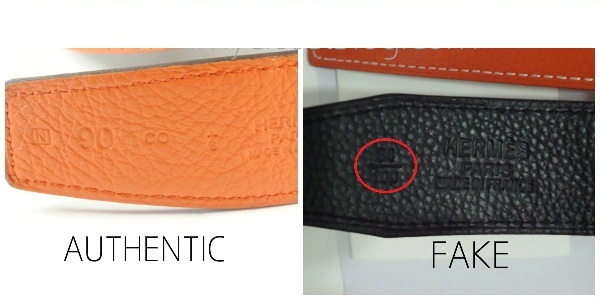 If you see the size mentioned in a unit other than centimeters it is probably a fake as Hermès always uses centimeters to show the size. 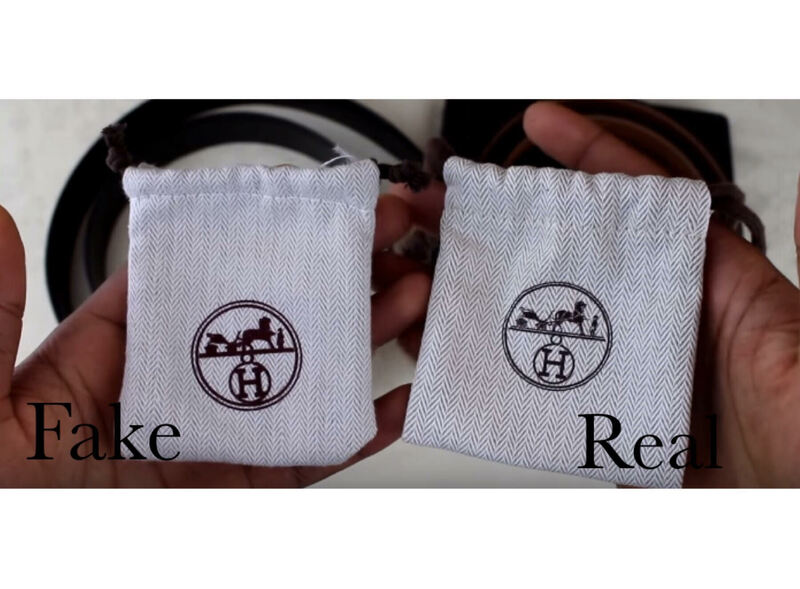 Also, the smell should not be synthetic in any way or like plastic. 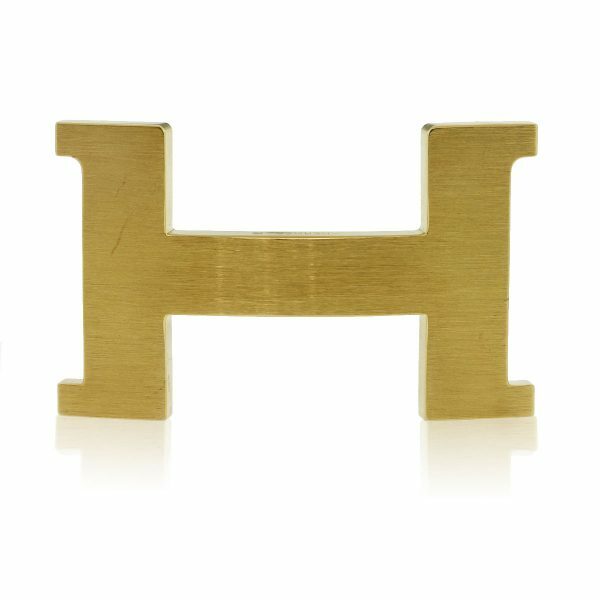 The “H” should be shaped with premium-quality finishing and no scratch marks, with a heavy feeling in your hands. 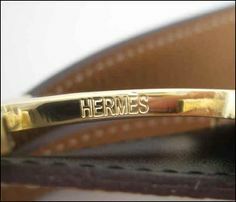 The edges will never be bubbled, chipped or otherwise blemished. 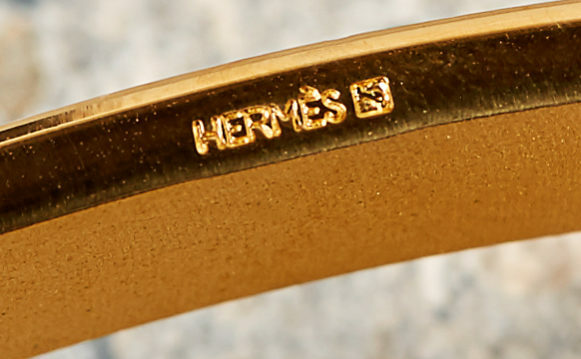 The Hermès belt logo is always on the back of the buckle. 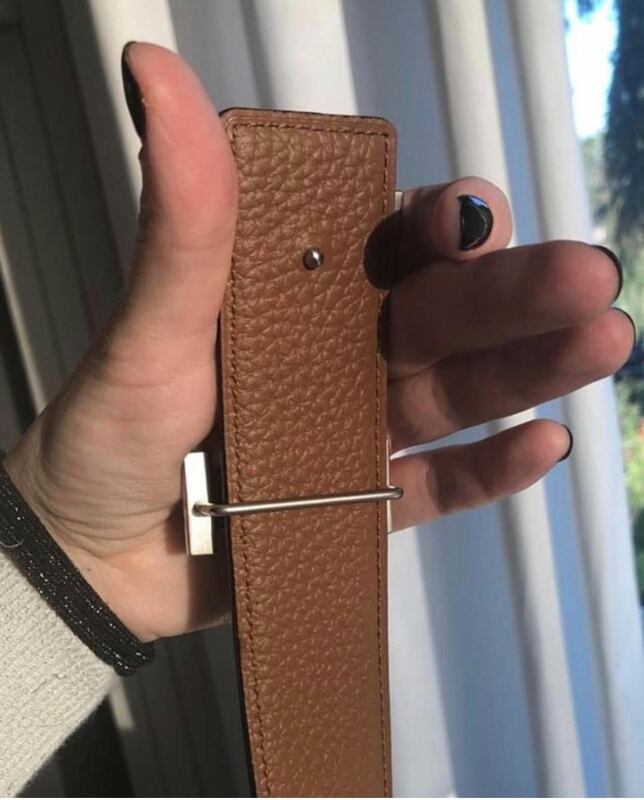 If it’s not there, the belt is fake. 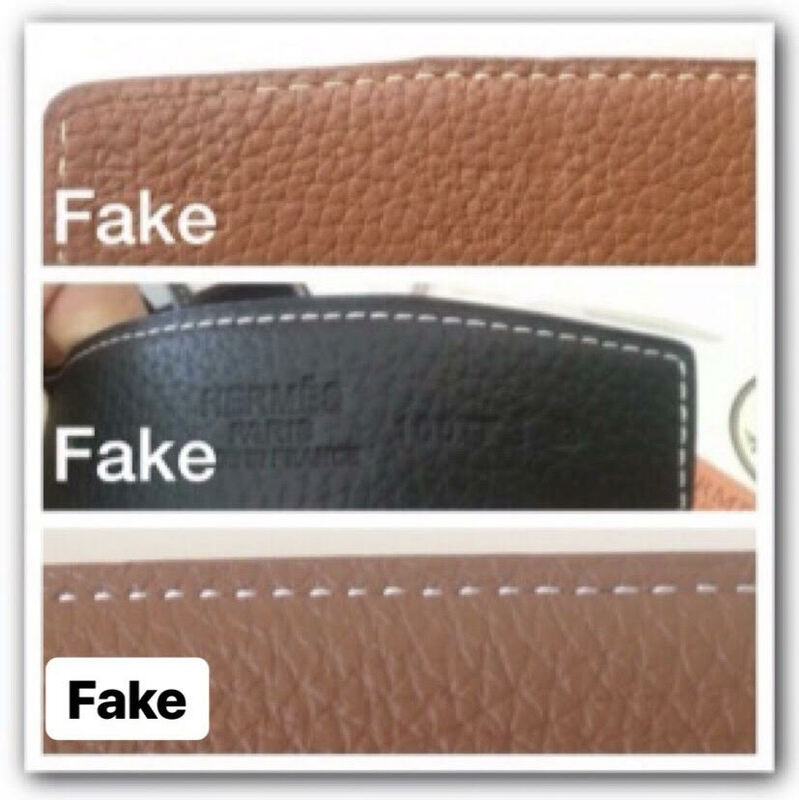 Double-check the spelling to ensure a counterfeit manufacturer didn’t make a mistake. 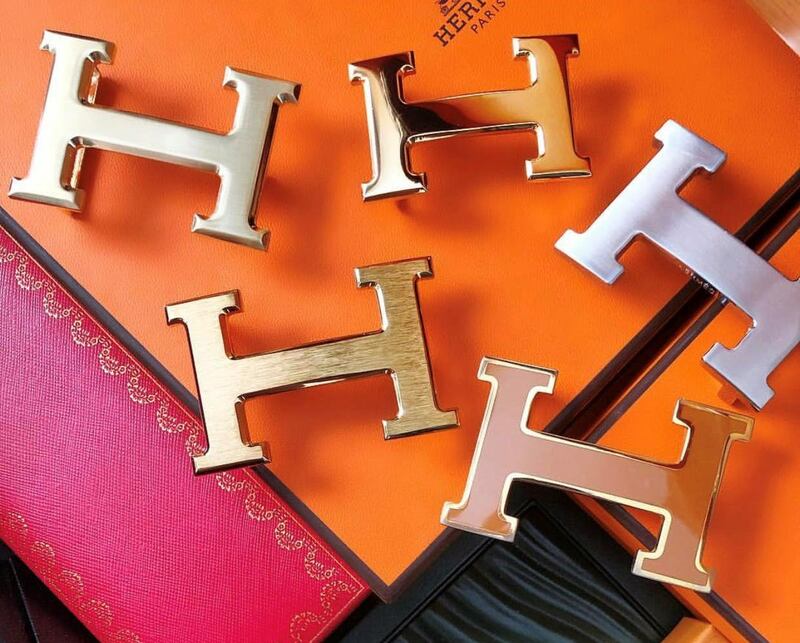 The second “e” in Hermès should always have an accent mark over it. 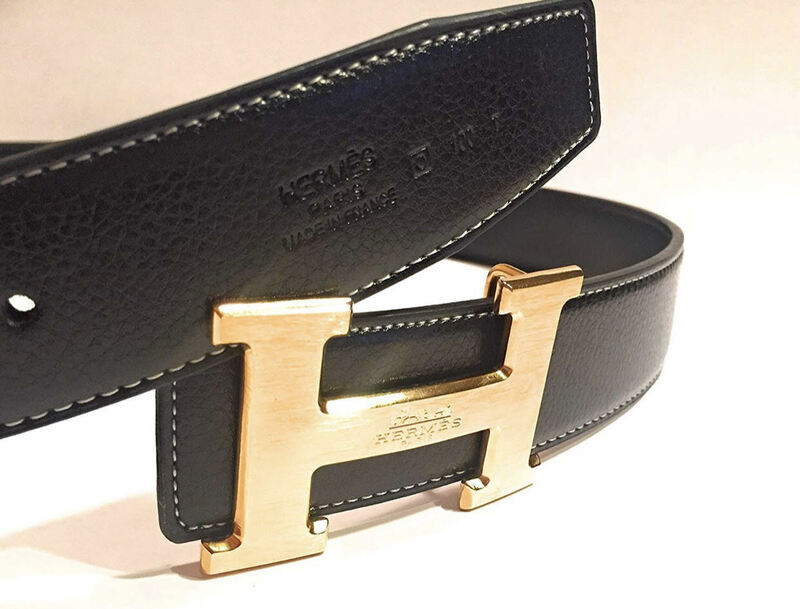 Like this: Hermès and never Hermes. 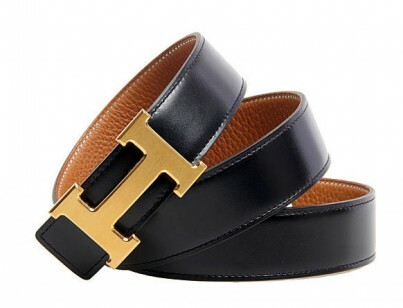 The back of the Hermès belt buckle is always matte. If it’s shiny, it is only a replica. 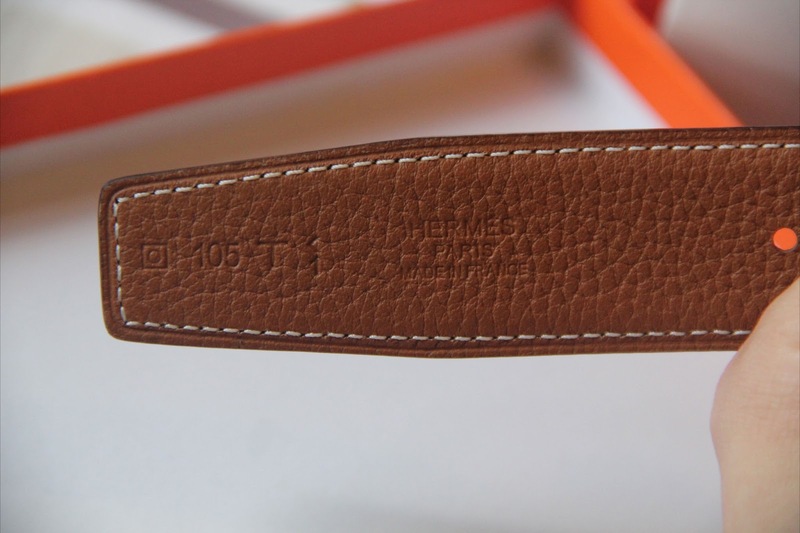 The Stitching on an authentic Hermès belt will be perfectly straight, without nicks or imperfections when it is new. 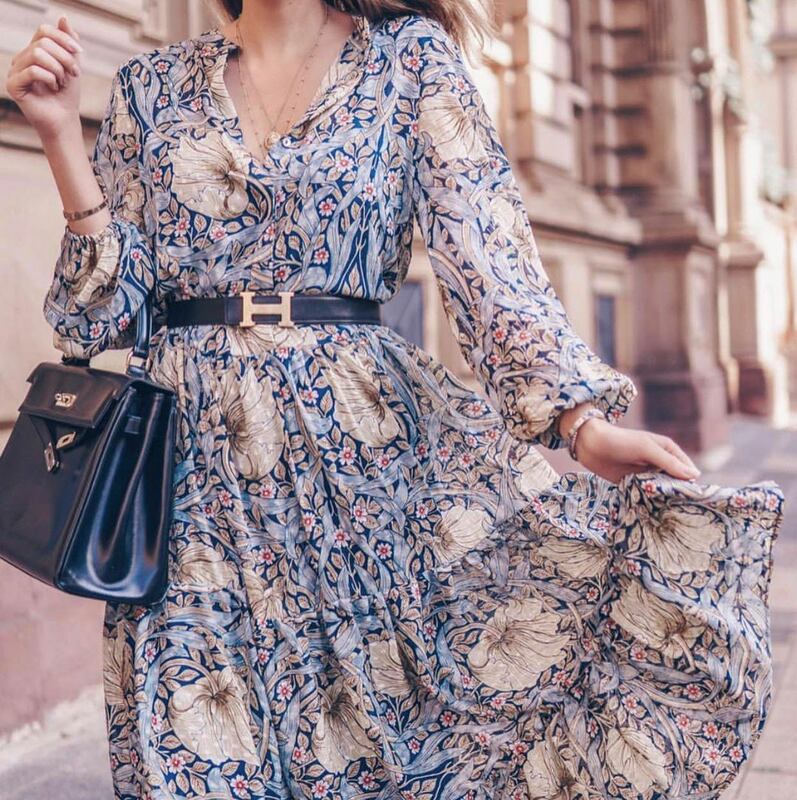 Every thread will be in place, it’s easy to see the evenness of each stitch and that none of them are split. 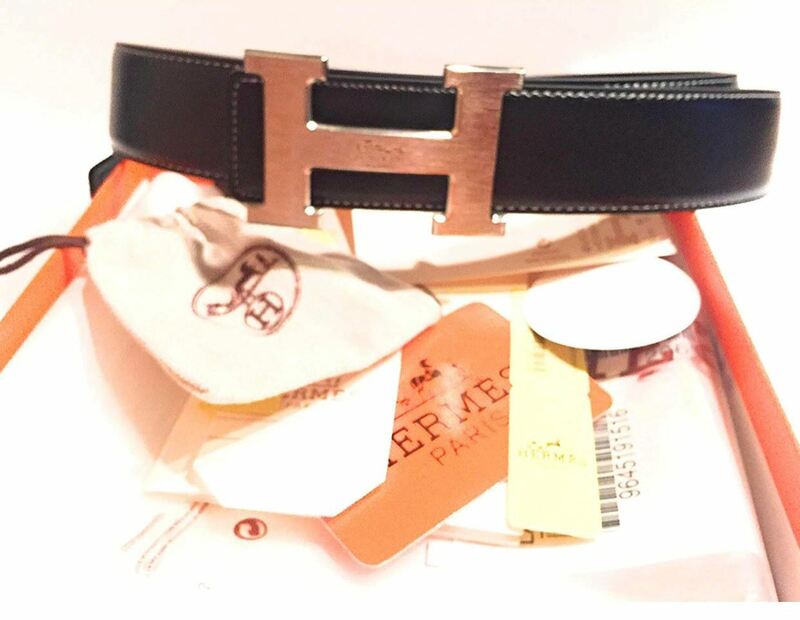 A real Hermès belt will feature a number of brand stamps to ensure its authenticity. 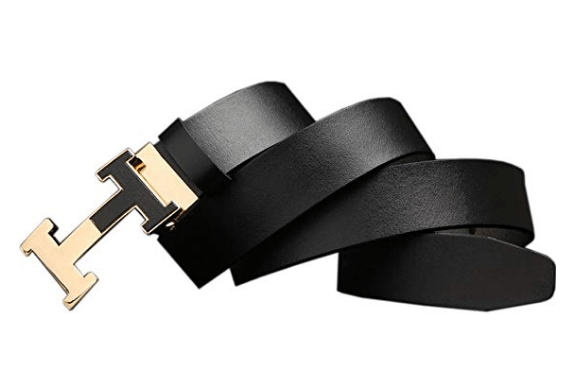 “You should see ‘HERMÈS / PARIS / MADE IN FRANCE’ debossed on one end of the belt. 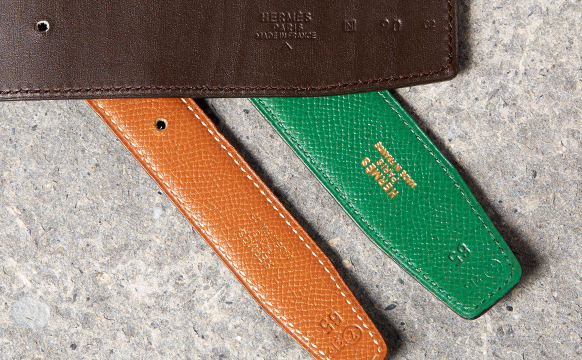 All three of the Hermès belt stamps can be found on one side of the leather strap. 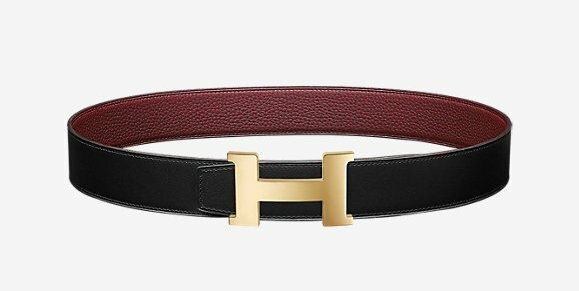 The three stamps at the end of each Hermès belt are an easy and basic way to authenticate these accessories. 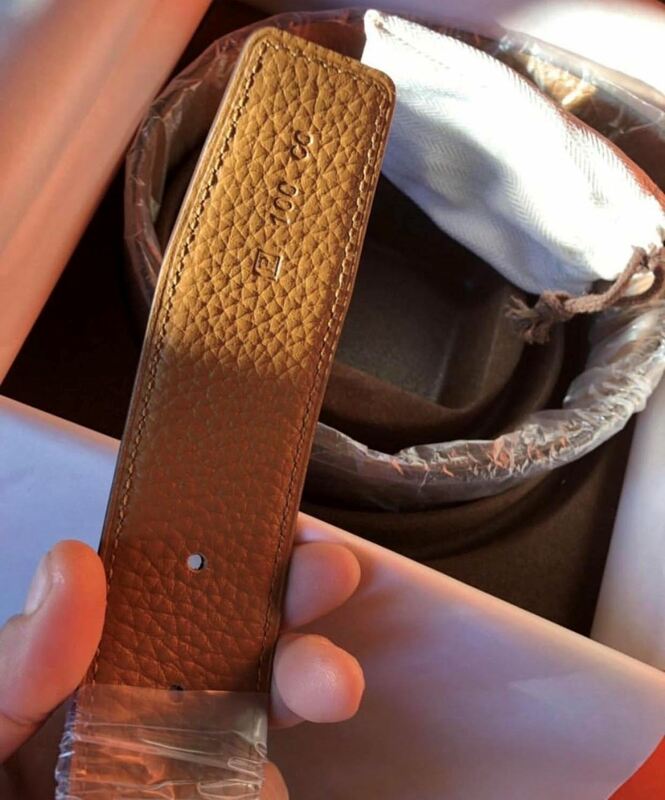 When you purchase a Hermès belt, it will come with a receipt that includes a yellow-colored logo in the middle. 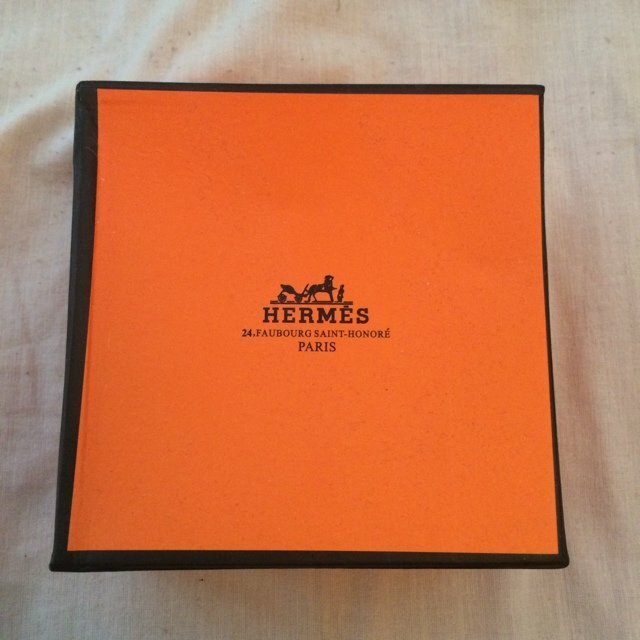 The shade of the logo is faded, but it can be seen. 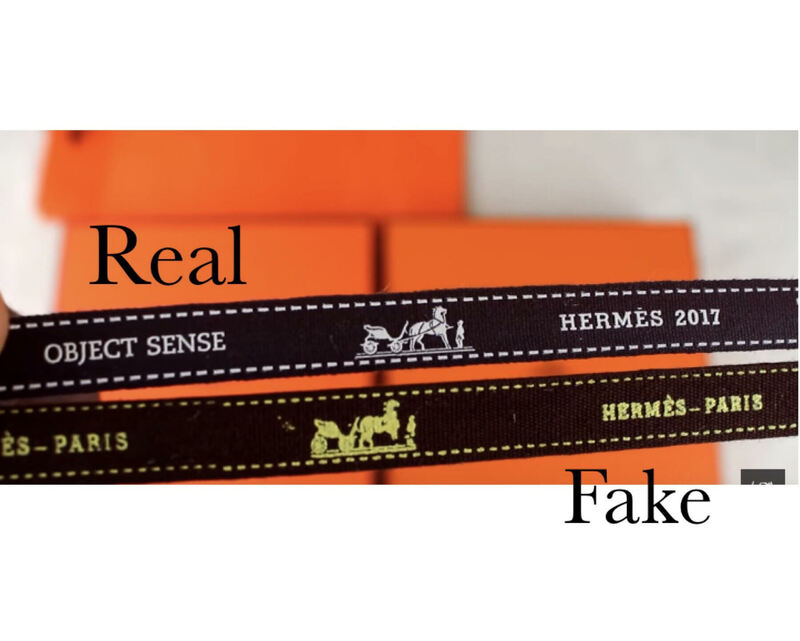 If the invoice is printed by a counterfeit company it is likely that the receipt will not include this detail or it will be replicated poorly with a darker tone or false font. 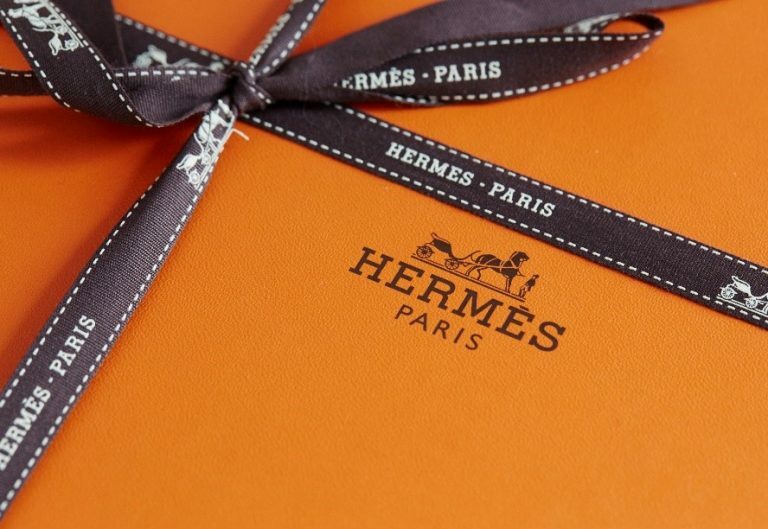 Inside genuine Hermès accessory packaging, you will also find that the invoice contains information detailing the location of the store and country where you purchased your belt.